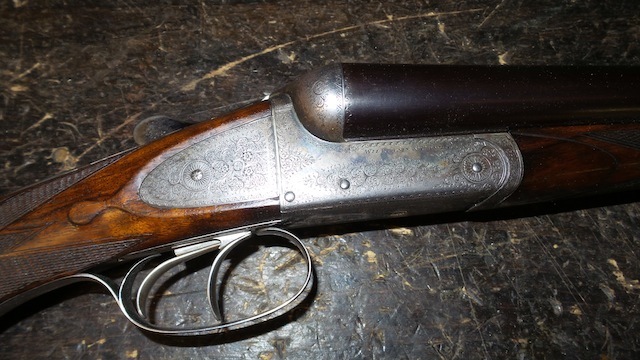 A fine Williams and Powell 10-bore shotgun is for sale. 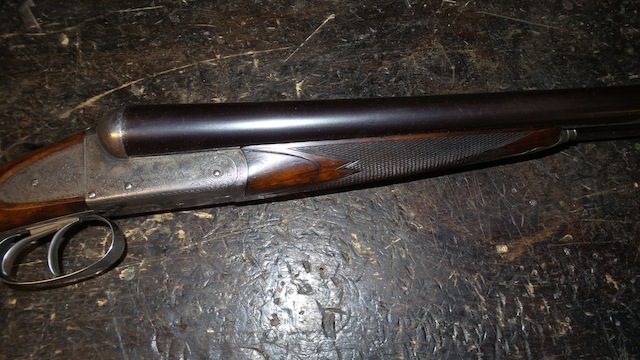 2 7/8" chambers, 28" barrels choked M & F. Weight is about 7 pounds so it is a light 10 for upland and pheasant hunting. 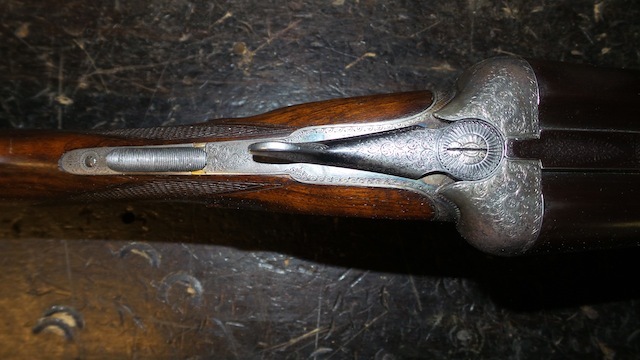 Note the engraving. This is a plated box lock--side plates added for the engraving. Ejectors. Great bores! Price$ 5250.